Based at Faridabad, Haryana, India, we B. S. Engineering Works have emerged as one of the well reputed manufacturers offering Packing Solutions and Candy Solutions. Our offered range includes Gang Cutter, Fuzi Cutter, Stainless Steel Plunger, Brass and Copper Sleeves and many more. These are fabricated using superior graded material in accordance with the defined industry standards. Manufactured with utmost precision and owing to the features like accuracy, longer life and sturdy construction, these meet the demands of various industries. Other than this, we are involved in providing various Job Works catering to the specifications of our clients. 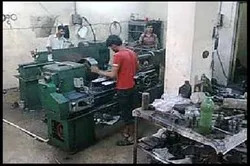 With the help of talented and expert team of professionals and advanced technique machinery, we are able to provide quality products. Apart from this, our team of quality inspection always ensure that utmost quality is retained. We are led by our proficient mentor, Mr. Virender, who has vast knowledge in this domain and rich industry experience. 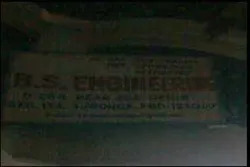 Under his guidance and supervision, we have become an eminent manufacturer in the domestic market. With his professional approach, we have leaned how to stand in the competitive market. 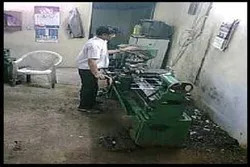 We are considered as one of the leading manufacturers& suppliers of Jigs, Surface Grinding Machine, Candy Cutter, Fixtures, Precision Tools and Gauges. Besides, we are also involved in providing job works. Using superior graded raw materials these products are made which are tested and checked under stringent test to ensure quality, performance and efficiency of the products. We are blessed with an experienced and highly qualified team of engineers who support us with their great effort and we become successful in manufacturing & supplying wide spectrum of Packing & Candy Solutions. With their hard potential and vast domain knowledge, we are capable of meeting our organizational goals. They maintain healthy relationship with our clients which make us understand about our users demands and offer the products accordingly.